The 60’s started well for Mort and Doc. ‘This Magic Moment’ by THE DRIFTERS reached 16 in the US charts (in 1968 JAY & THE AMERICANS get to 6 with their cover version). ‘Save the Last Dance For Me’(an unforgettable lyric by Doc with Mort’s wonderful melody which drew upon his love for Latin American music) followed, reaching No 1 in the US charts and No 2 in the UK. This was Mort and Doc’s first US No 1 and THE DRIFTERS biggest record ever. ‘Save The Last Dance For Me’ was inducted into the Grammy Hall of Fame as a Recording of Lasting, Qualitative and Historical Significance. It was also nominated for Grammy Song of the year in 1960. 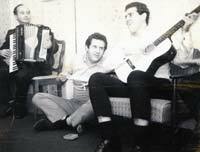 Whilst Mort and Doc had been in the UK in 1959 they managed to get a demo of ‘A Mess of Blues’ to ELVIS in Germany via his friend Lamar Fike. This was the breakthrough into Elvis’ world and he recorded the song on his first session after his army discharge. The record was the ‘B’ side in the States to ‘It’s Now Or Never’ but still reached 32 in the US charts and 2 in the UK. 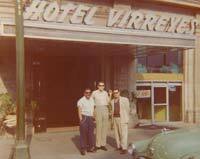 Mort and Doc were to go on and write 16 songs for ELVIS but they never met him. STATUS QUO’s version of ‘A Mess of Blues’ reached no 15 in the UK charts in the 1980's. Doc and Mort next supplied ELVIS with ‘Surrender’ which went to no 1 in the US and UK and most other countries in the world, in March 61 and then ‘Marie’s the Name (His Latest Flame) both of which went top 5 in the US and No 1 in the UK. These two songs were in fact written for Bobby Vee but his producer, Snuff Garrett thought they were too rock’n’roll. He did however record ‘All You Gotta Do is Touch Me’. In the meantime THE DRIFTERS released ‘Sweets For My Sweet’ (with Mort on the piano) which charted at 16 in the States. Two years later, The Searchers version went no. 1 in the UK. The ‘Pot Luck With Elvis’ album (1962) featured four of Mort and Doc’s songs including ‘Suspicion’, which was never released by ELVIS in the States but reached no 9 in the UK. 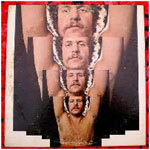 TERRY STAFFORD’s version went top 5 in the US. ‘’Seven Day Weekend’ by GARY US BONDS (US 27) was made for Richard Lester’s first feature ‘It’s Trad, Dad’ which also included two of Mort and Doc’s songs recorded by DEL SHANNON (‘Ginny in the Mirror’ and ‘You Never Talked About Me’). In 1963 ANDY WILLIAMS had a US pop 2 and AC 1 and UK2 smash with ‘Can’t Get Used to Losing You’. Famously the song was rejected by ten other artists and hated by ANDY WILLIAMS. ‘Viva Las Vegas’ was released in 1964 only reaching 29 in US and 17 in UK but spawning versions from BRUCE SPRINGSTEEN, ZZ TOP and THE DEAD KENNEDY’S which was used in ‘Fear and Loathing in Las Vegas’. 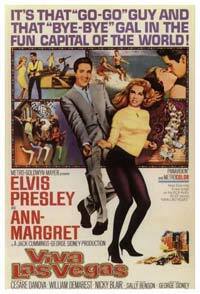 The film entitled ‘Viva Las Vegas’ was Elvis’s biggest box office success. By the mid sixties, Doc and Mort had begun to drift and work apart. They both wrote separately with Jerry Ragovoy – Mort co-writing songs for GARNET MIMMS, DUSTY SPRINGFIELD (‘What’s it Gonna Be’ and “I’ve Got A Good Thing’) and for HOWARD TATE in the legendary sessions produced by Ragovoy, (‘Look At Granny Run, Run’ Get it While You Can’ and ‘Stop’ – all US Top 20 R&B hits. ‘Get It While You Can’ became one of JANIS JOPLIN’s signature tunes and was later recorded by JANIS together with ‘My Baby’ (another Ragovoy/Shuman collaboration) on her iconic album ‘Pearl’.‘Stop’ was regularly performed in concert by JIMI HENDRIX and his last band – BAND OF GYPSY’S. He recorded the song live at Filimore East shortly before his death. Doc and Mort got together in 1966 to write and produce ‘ Bring Him Back’ and ‘World of Broken Hearts’ for CISSY (SISSIE) HOUSTON. They also wrote for BOBBY VINTON and the McCOYS single ‘Say Those Magic Words’, which was also recorded by THE BIRDS. Mort and Doc’s last collaboration for ELVIS – ‘Double Trouble’ – was recorded by Elvis in 1966 and this marked the end of an era although Mort did go on to write on his own one further song for Elvis entitled ‘You’ll Think of Me’ (1969). 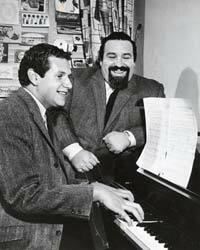 The Pomus/Shuman duo had written over 500 songs between 1958 and 1965. While holidaying and partying in St Tropez in 1966, Mort discovered and fell in love with the work of the Belgian singer-songwriter JACQUES BREL. Returning to New York he and poet Eric Blau translated 25 of Brel’s songs and created the review ‘JACQUES BREL IS ALIVE AND WELL AND LIVING IN PARIS’. The original show debuted Off-Broadway on January 22, 1968 at The Village Gate Theatre in Greenwich Village and ran for more than four years. Its original performers were Elly Stone, Mort Shuman, Shawn Elliott and Alice Whitfield. The production was directed by Moni Yakim. Columbia recorded and released a double album of the original cast’s performances. The show became one of the longest running off-broadway musicals and subsequently has toured extensively around North America and the rest of the world. Sir Peter Hall presented the show at the Platform at the National Theatre in London. Mort’s translations of Brel’s works were recorded by many artists including SCOTT WALKER (‘Mathilde’, ‘Funeral Tango’, ‘Jacky’, ‘My Death’, DAVID BOWIE (‘Amsterdam’), DION, DIONNE WARWICK and JOHNNY MATHIS (‘If We Only Have Love’) JUDY COLLINS (‘Sons of’), ALEX HARVEY BAND (“Next’) and MARC ALMOND (‘Jacky’). Reprise Records release Mort’s first solo album entitled “MyDeath” – a deeply personal, adult, eccentric, theatrical and songwriting tour de force. Produced by Jerry Ragavoy.